This product is available at AliExpress, Banggood, LightInTheBox.com and MiniInTheBox.com, GeekBuying, DealExtreme, Ebay, FastTech, Gearbest, TOMTOP Technology Co., Ltd, Amazon.com, Amazon.co.uk, Amazon.de. 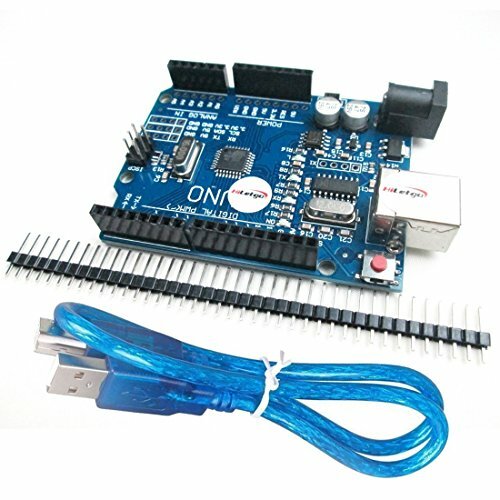 At aliexpress.com you can purchase high quality One set UNO R3 (CH340G) MEGA328P for Arduino UNO R3 + USB CABLE for only $0.73, which is 93% less than the cost in Amazon.de (€9.99). 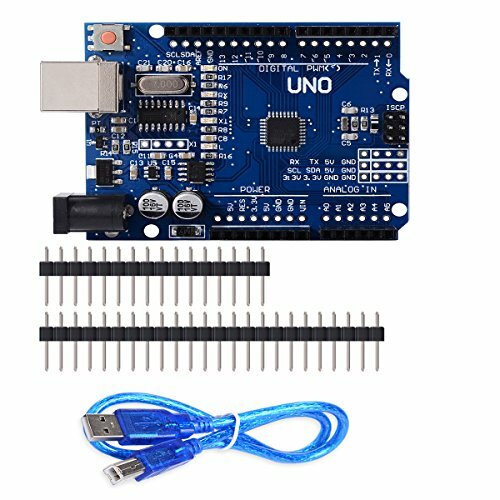 The lowest price of UNO R3 Arduino Rev3 ATmega328P CH340G kompatibel Board DIY gratis USB-Kabel & Pins was obtained on 19 April 2019 3 h 00 min. 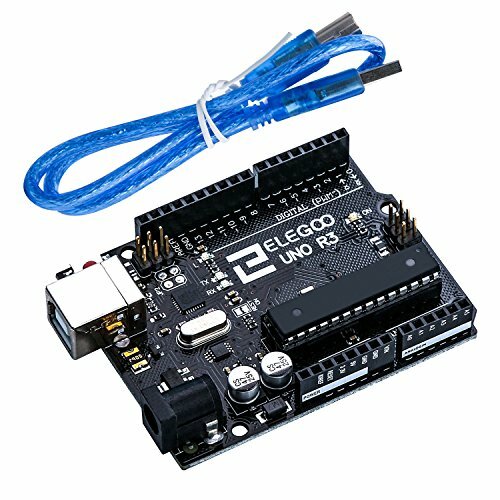 The Arduino Uno is the ideal development platform for learning programming with microcontrollers. The Arduino Uno is programmable using the Arduino IDE (a free development environment developed by the foundation behind the Arduino project). A version is even available online. A free user account is required. The Arduino is ideal for introducing children to the electronics and the basics of programming. You do not need to know programming with the Scratch graphical programming environment available online. Logic blocks are built to build the program. For more advanced users, there are other development environments. PlatformIO presented in this article is the most advanced. It supports other microcontrollers. More than 400 development cards for the main microcontrollers (Atmel AVR, Espressif ESP8266 and ESP32, STMicro STM32, Teensy …) are supported by PlatformIO. Also found is the Arduino included in boot kits. The Arduino Foundation markets an official kit (quite expensive). The book explains very well the principle of operation of the electronic components included in the kit. The mounts are available on youtube (an example). If you can go from the explanation booklet, there are many starter kits (of good quality) among Asian manufacturers.